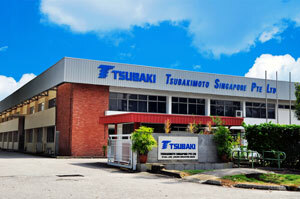 Tsubakimoto Singapore Pte Ltd is a subsidiary of the Tsubakimoto Chain Co. of Japan. We are a supplier of power transmission products; industrial drive chains, attachment chains, small and large size conveyor chains; Related products include cam clutches, sprockets, shaft couplings, safety devices, cableveyors, toothed belts & pulleys. The company also offers conveyors and and complete materials handling systems. Our service territory includes the following countries: Bangladesh, Brunei Darussalam, Cambodia, India, Indonesia, Laos, Malaysia, Myanmar, Nepal, Pakistan, Philippines, Singapore, Sri Lanka, Thailand, and Vietnam. 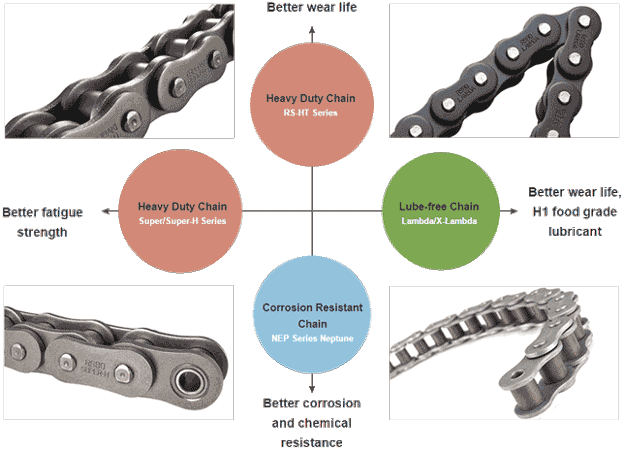 If you are looking for information from another area please visit the Tsubakimoto Chain Co. main website. We supply steel, high-grade stainless steel, solid plastic cableveyors and plastic cable carriers with aluminium supports (hybrid cable carriers), in standard sizes or tailor-made to in millimetre-precision units. With properties such as stability and robustness suited to all applications, with fixed or variable chain widths, for long unsupported travels and 3D applications. Particularly quiet and lightweight and/or in closed design or easy to open; we have it all! Our Traxline cable ranges meet the highest quality standards in order to ensure the readiness of your systems and installations. We offer a selection of highly flexible cables that are cost-effective, flexible and extremely durable. A key factor for our cables is their tested and proven operational reliability, which meets all applicable standards and directives. Our product range covers all industries, from small units using in inkjet printers, up to giant drag chains weighing several tonnes used on offshore oil rigs. In this technologically advanced and rapid changing era, creative & innovative solutions are required to meet an endless variety of unique needs. With years of experience, Tsubaki offers unique combination of innovation, efficiency & effectiveness for your materials handling systems requirements. Tsubaki assists customers with each step of materials handling systems, automotive assembly lines, storage systems, and cleanroom pharmaceutical automation systems from planning to proposal, design, manufacturing, installation, and after-sales services. We utilize our innovative technology to handle our clients' requirements and deliver quality as well as timely solutions.